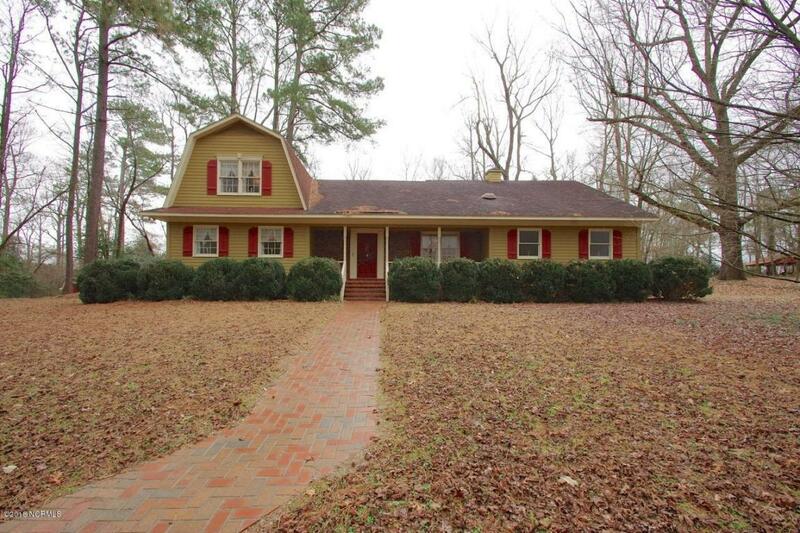 Charming Dutch Colonial style home located just outside of Kenansville (No City Taxes!) 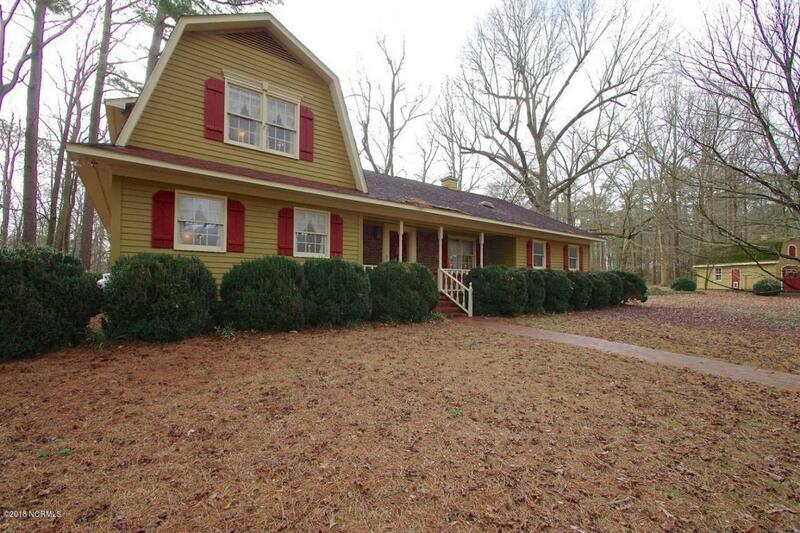 nestled in just over 21 acres of pines, dogwoods, hollies, native greens, boxwoods, crepe myrtles and azaleas. 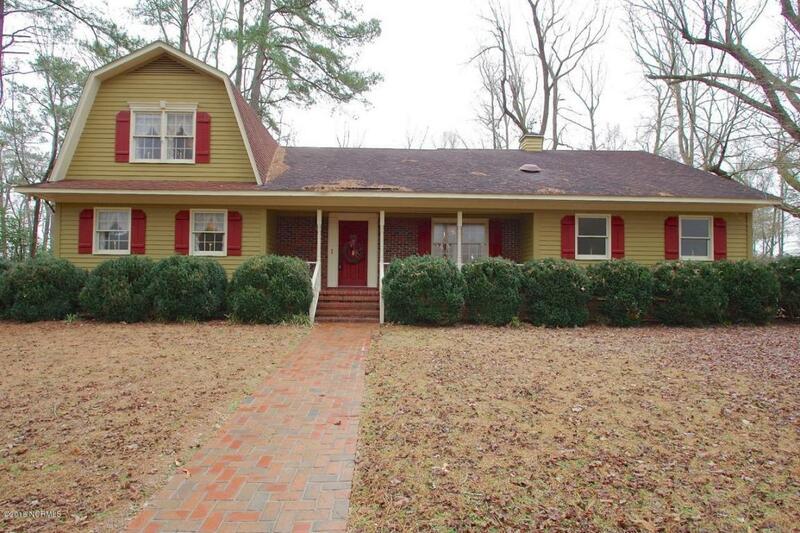 This listing is for 2 separate tracts of land that are being sold and deeded together. The 2nd tract of land can be found in Deed Book # 877 on page # 366. If you're looking for a place where you can have horses, chickens, goats, etc. look no further, this is the perfect property for you! 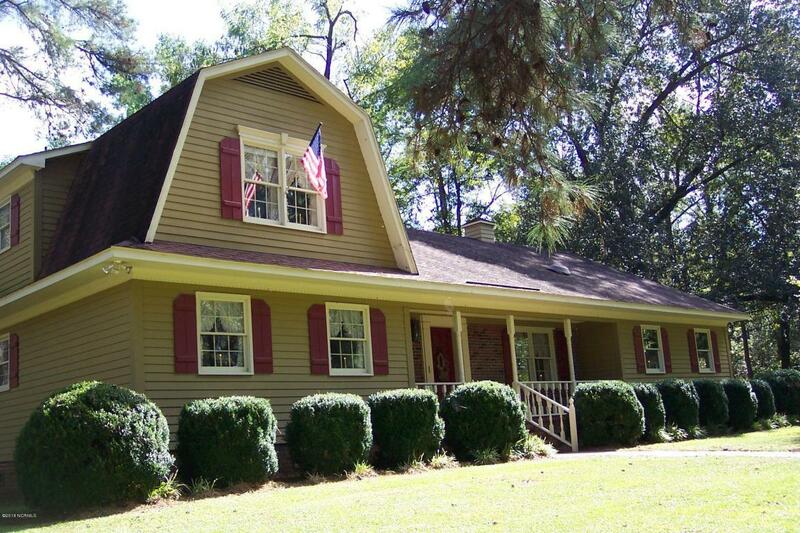 This beautiful home offers plenty of country charm, wonderful privacy & a gorgeous view of the pond. The kitchen has custom-made wood cabinets with dentil mold trim and center island with built-in cutting board. The breakfast area has pine wood floors and is nestled in a bay window with a view of the patio andoutdoor cooking area. The family room features exposed wood beams, beautiful pine wood floors, custom made built-in entertainment cabinet, wood-burning fireplace with ash dump, glass doors & a built-in wood storage box. The living room has a fireplace with gas logs and the vapor barrier in the crawl space was just recently replaced. Equipment shelter could be used for many different thing! This home has been very well maintained and everything is perfectly functional just the way it is:) You may want to do some updating, but this home is structurally sound!!! Call now and schedule your personal tour of your new home today!! Listing provided courtesy of Rebecca J Quick of Crystal Coast Realty & Homes Services, Llc Jacksonville.